Kills any pokemon instantly . Attack 2 : DOGE ATTACK!!! 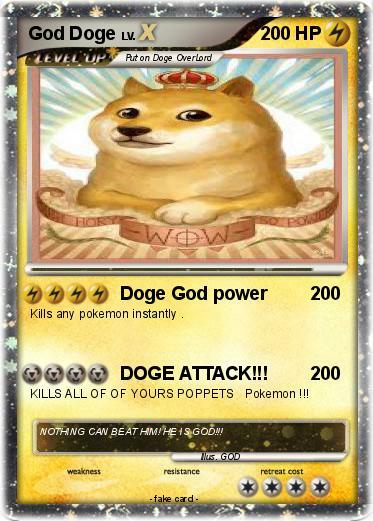 KILLS ALL OF OF YOURS POPPETS Pokemon !!! Comments : NOTHING CAN BEAT HIM! HE IS GOD!! !